Scotch Plains area has great amount of these cicadas. Heard cicadas, but have not seend them in South Jersey. We have them here in Durham North Carolina. Started hearing them 2 or 3 days ago and have found them just down the road from me. They are real LOUD! These are Brood 19 from what I can gather. 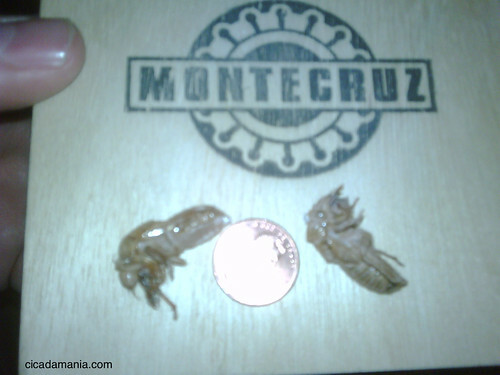 I have seen 2 cicadas in Brooklyn, New York in the past 2 days. August 21, 2010. There are a TON of them in Ridgewood, NJ where I live. How long do these puppies stay alive? Brian, the Tibicens that are out now will be around for the rest of the summer.